Former presidential candidate and billionaire Mikhail Prokhorov looks as if he is going beyond his pet project of the Yo-mobil, Russia’s first hybrid car, to create a whole family of Yo-products. 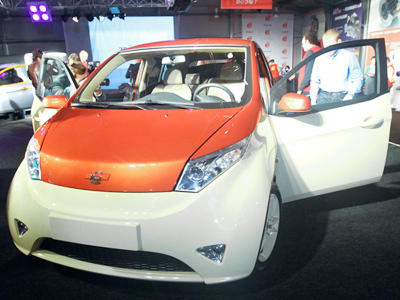 Russia's Yo-Auto plant has applied for the registration of 12 trademarks to the Russian patent service. "Yo-Wow", "Yo-Phone" and "Yo-you" are just some of ten names beginning with “yo” Prokhorov is going to use to develop new businesses and promote his Yo-Mobil car. The patent authority did not specify though which products the brands would be applied to. While it’s a hard to guess which product may bear the "Yo-Wow" name, "Yo-phone’s" application looks more straightforward. "Yo-Mobil" club’s official website is saying Yo-phone will be a cell phone which will use Bluetooth to start the car, or contact the service center. One of Prokhorov’s Yo-mobil trademarks has already been hijacked though. Last year a company called Yo-mobile received a license to provide telecommunications services. 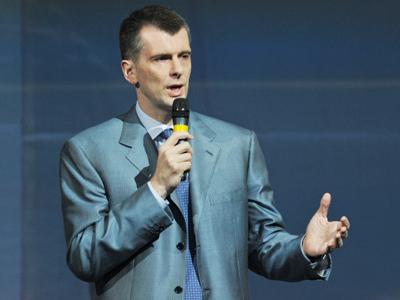 Prokhorov’s company said despite the almost identical sound of the two brand names, the project does not have any relation to the businessman. Deputy Director of Strategic Marketing in "Yo-mobil" Dmitry Yarota said the launch of the new products under the new trademarks will be announced within a month. The “environmentally-friendly” hybrid electric car was introduced in 2010 and will be produced by Yo-auto, a Russian company that is a joint venture between truck maker Yarovit and Prokhorov’s Onexim investment group. 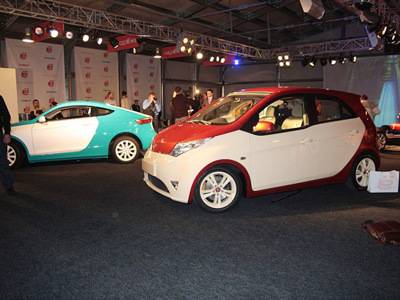 Yo-auto plans to begin producing the car during the second half of 2012. The annual production capacity of the first Yo-mobile plant near St. Petersburg is estimated at 45,000 cars, with Prokhorov planning to sell his cars abroad.